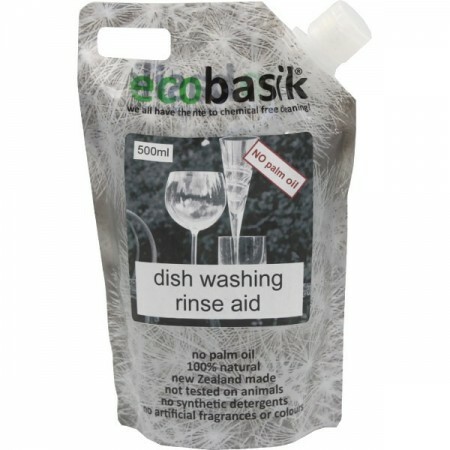 A palm oil free dishwashing rinse for cleaner, brighter dishes. Using only pure and simple ingredients, this all natural rinse aid is free from synthetic detergents, colours and fragrances. Packaged in a recyclable pouch. 500ml. Only for purchase in store. For sparkling clean glass, cultery and ceramics. 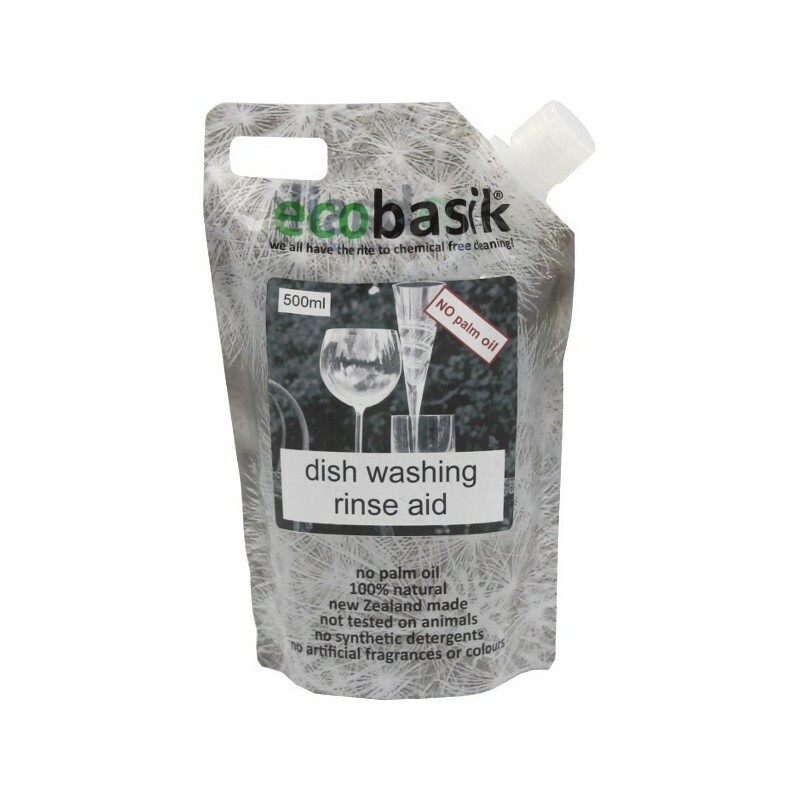 Leaves dishes and machine soap free.